Data is especially sacred these days. From merely acting as an assurance for decisions in governance and policy-making, data has become the precise input for successful operations in everything — from delivery of public services to crowd control, from monitoring specific individuals to piloting driverless cars and drones. The evolution of smart cities as a principle of urban planning is dependent on data being mined and transformed into workable strategies and systems. Researchers and start-ups are hard at work, mining data from all available resources: mobile phone records, geo-localised apps, satellite imagery, participatory web platforms and GPS signals. Against this scenario, it is a positive sign to come across convergences between old research and new confirmations. Take, for example, studies emerging that are looking at mined data in Italy that seem to confirm celebrated urban practitioner Jane Jacobs’ thesis; that diversity of habitats and spatial functions is linked to the vibrancy of neighbourhoods. It now appears that advanced data based mapping and analysis confirms the findings that emerged from traditional methodology Jane asserted the same ideas: the more diversified a neighbourhood, in terms of its uses, its composition and its physical expressions, the more efficient it is in terms of economic and cultural dynamism, making for a more secure and successful urban setting. Such a convergence need not be seen as a blanket sign that old methodologies were as good as new ones. There is no doubt that the scale and extent of data processing today can produce an unprecedented opportunity to understand, analyse and strategise interventions more than ever before. 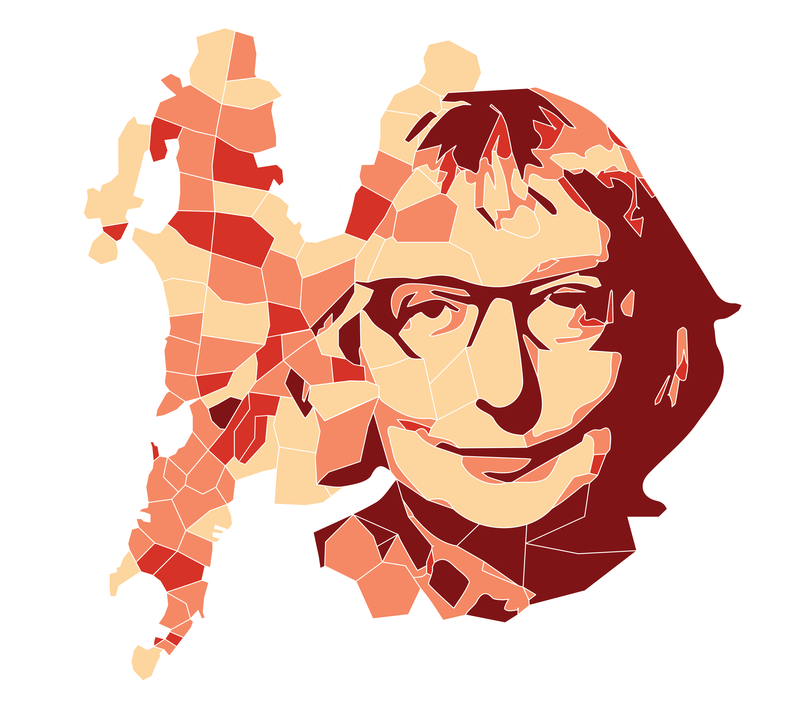 However, what was integral to Jane Jacobs’ methodology was a strong reliance on both quantitative and qualitative data. Along with objective parameters to make cities nicer to live in — lower pollution, higher proximity to certain services, the presence of greenery — we need to pay attention to subjective aspects as well. These take into account specific contexts, histories, modern rights, local practices and traditional use patterns and the likes of ethnographers and artists become as integral to urban planning as economists and architects. They help us understand that places need to be understood as cultural entities too — made up of the social imaginary and activities of those who inhabit them. Token acknowledgement is made to qualitative data today — but they are often variations of scaled-up market analyses. What we need is for qualitative data to address issues of scale and locally controlled generation of data more seriously. Such processes have to be based on particularities and details, neighbourhood by neighbourhood. The ease of technological aid for the production and analysis of urban data has to be harnessed beyond mapping and GPS. Rather than producing spatial audits, the process of producing qualitative data needs to involve design, non-physical mapping that pays attention to activities and issues of livelihood among other things. For this to happen, urban life must itself be conceived of in realistic ways. This was Jane’s strength. She refused to accept that cities were just physical spaces that were filled by people who had to be “managed”. She saw neighbourhoods as composed of human energy and agency that actively worked with its immediate environment to produce a liveable space; one that was made up primarily of people who inhabit it. A special ecology of knowledge develops around people, especially if they engage with their immediate environment. This ecology of local knowledge cannot be manufactured from the top. It cannot also be ensured by “making” smart citizens either, which would really be the most simplistic interpretation of an equation between residents and smart cities. The ecology emerges the moment we recognise that it exists. Look around you. Indian cities have it in abundance. If we work with the intelligent data that is being generated all the time in the urban ecologies that make up our cities, we will create those that are more than just algorithms.